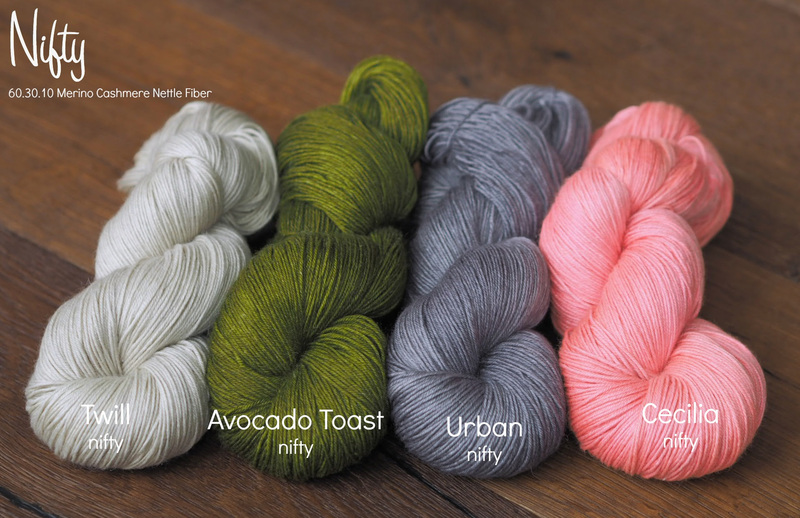 Meet our newest Small Batch colorways! 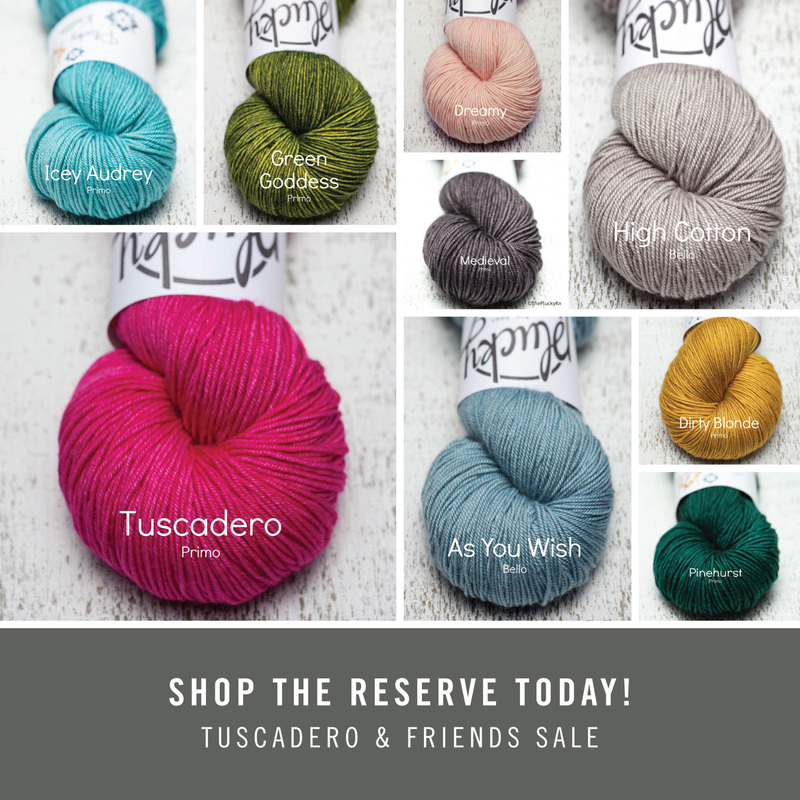 We are having a blast expanding our catalog of Small Batch colorways! 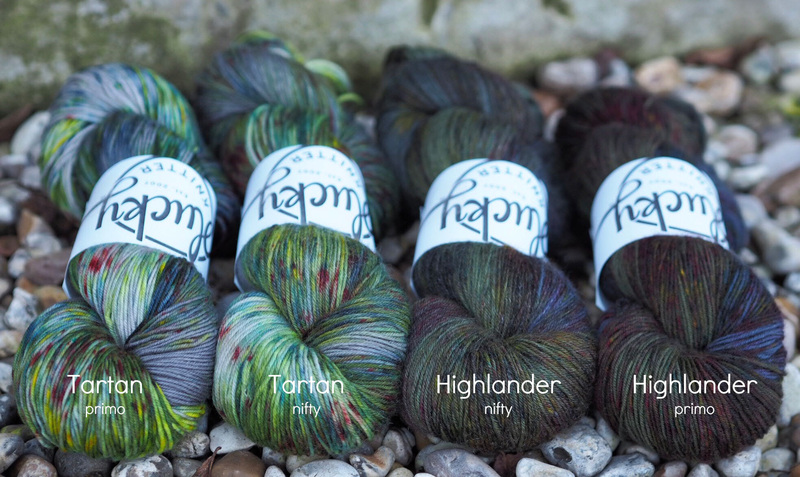 The latest additions, inspired by Scotland, will be available for pre-order here on the blog on Sunday, March 12 at 6:00 p.m. EDT! We thought it would be a good idea to refresh a previous informative blog post about these special, unique pieces of art. We hope you enjoy and have as much fun with them as we have with development and knitting with them! Can we talk a little bit about Small Batch?! 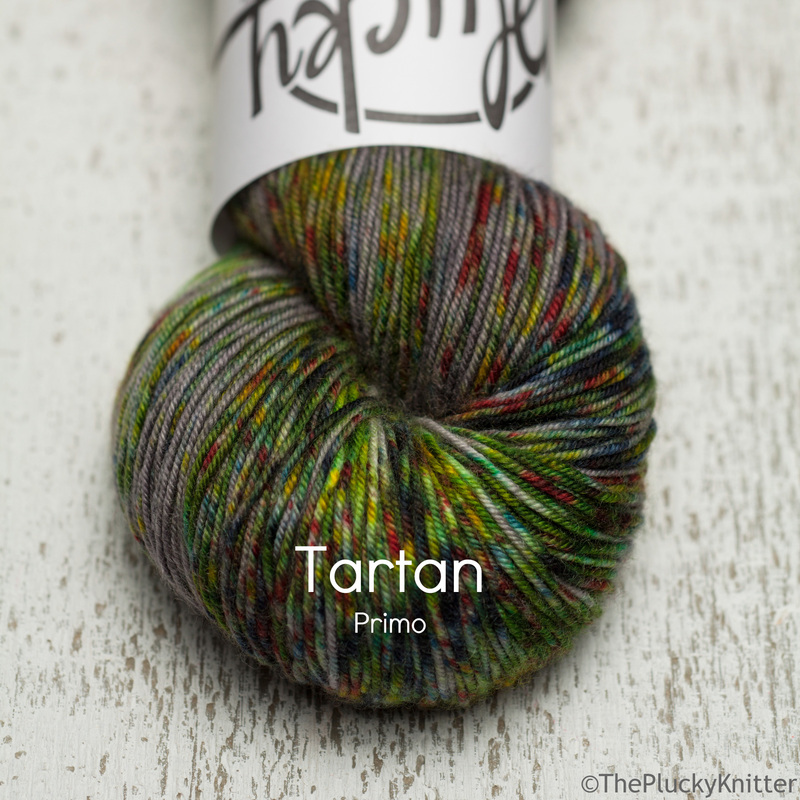 We decided on the name ‘Small Batch’ because it was the perfect description of how these skeins of art come about. They are done in very small batches with each and every skein having the various colors applied one at a time. It’s a time-consuming and labor intensive process but one that we’ve come to love! 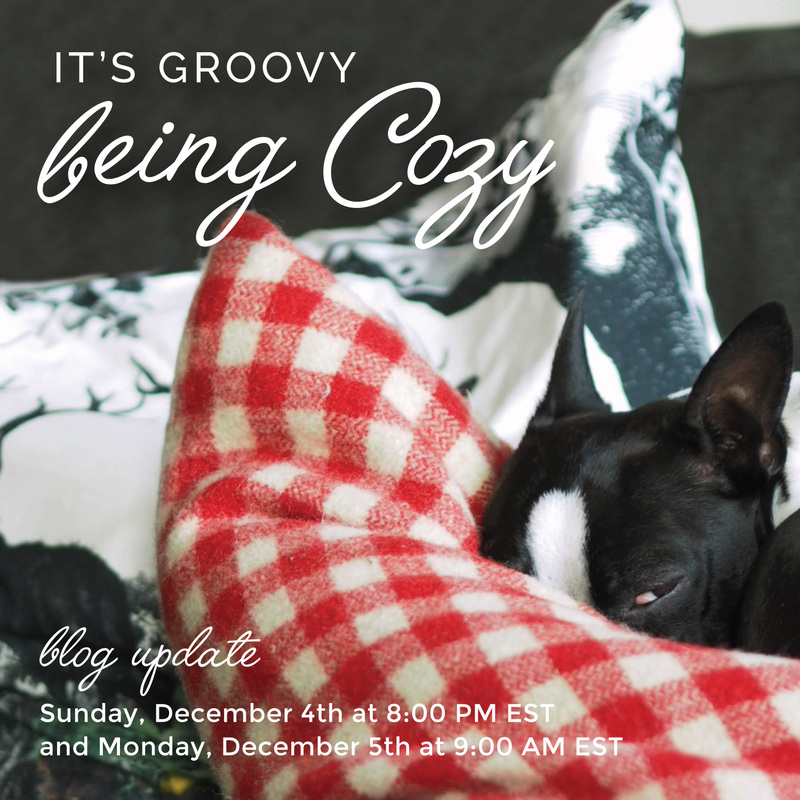 It allows us to bring you our art in every skein, making for fun and truly unique projects! 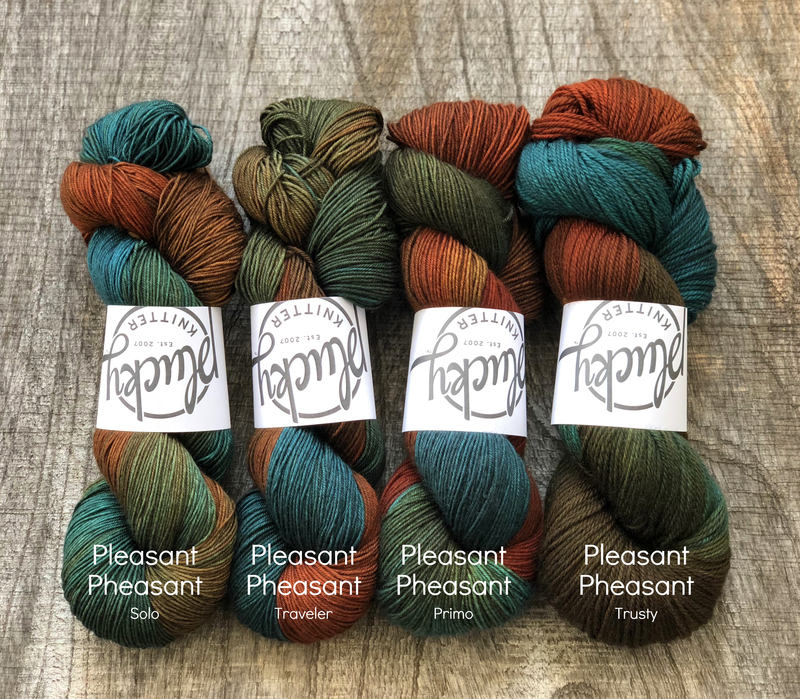 Something we ask you to please bear in mind (and this is true for hand-dyed yarn aside from Small Batch) is that no one skein will be exactly like another. 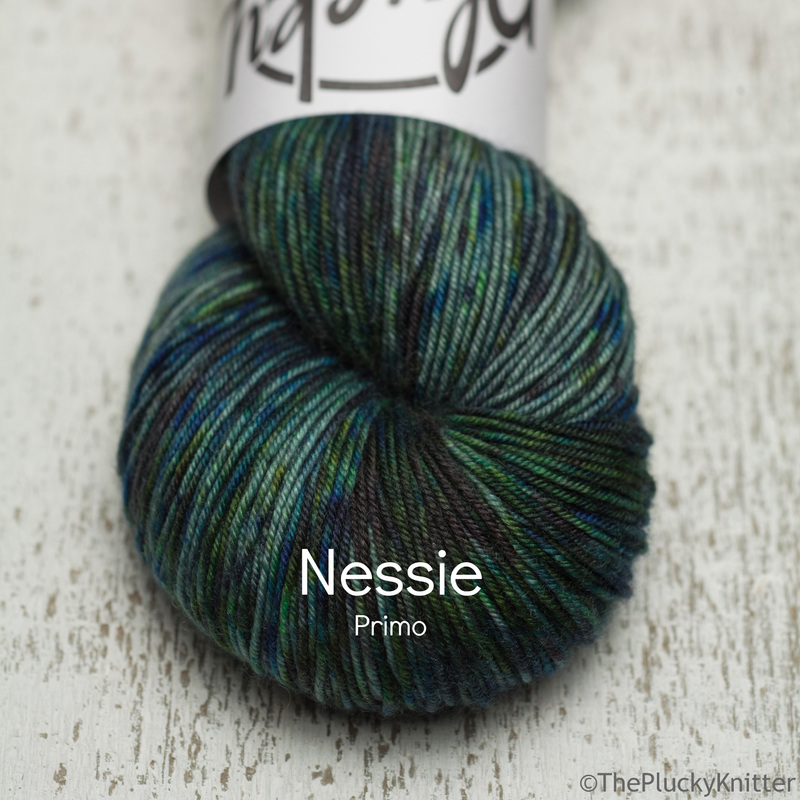 As an example, one skein of Small Batch may have more green speckles or be more saturated with all of the colors comprising that particular Small Batch colorway, while another from the same ‘batch’ may have less saturation, be more speckled or have more blue than the one that was created directly beside it. Again, it’s just the nature of hand-dyed, artisan yarn and each skein is truly unique. 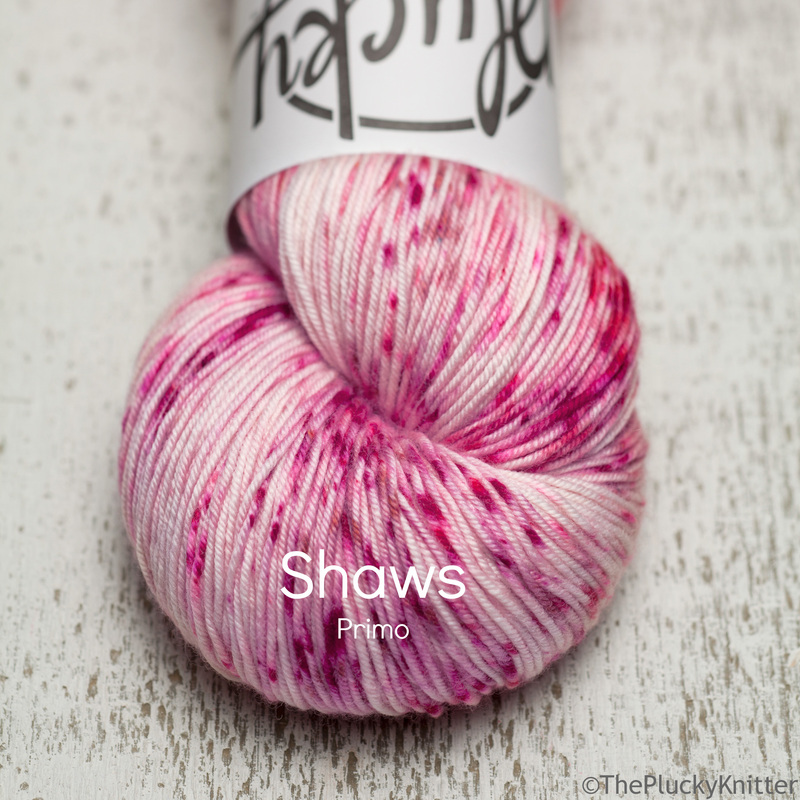 What you may see in a glamour shot or a project pic of a Small Batch may be very close to what you receive or it may be very different in its placement of colors on the skein. These differences are not quality issues. 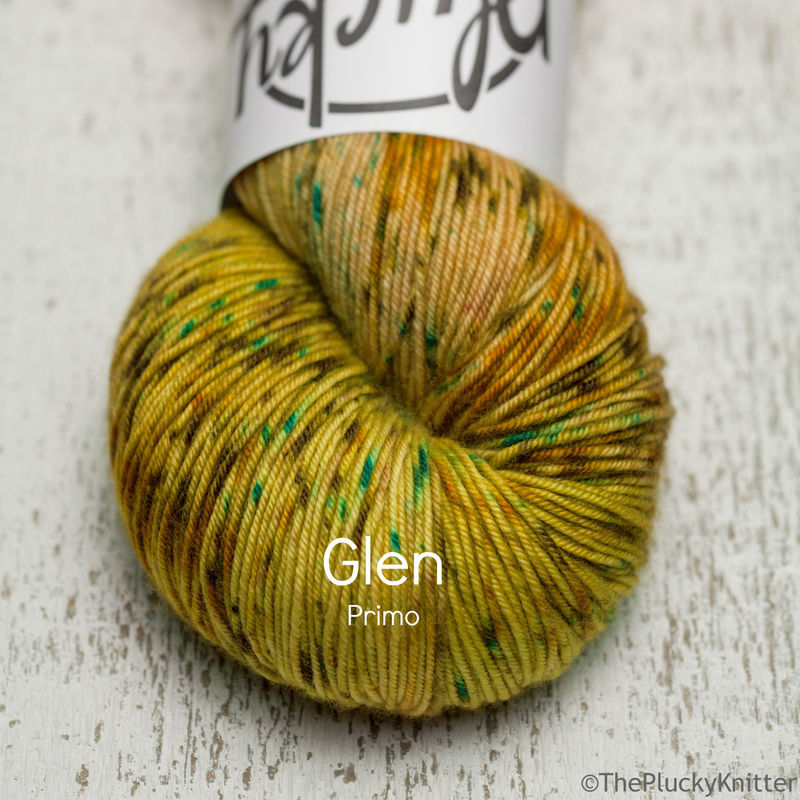 True Small Batch, or hand-dyed yarn, is inherently unique to each skein and it would be next to impossible to replicate every speckle of each colorway represented in a skein of Small Batch. Often times, skeins that appear significantly different from one another in the skein, may look more matched once they are wound (happens to me all the time) and the opposite may also be true. 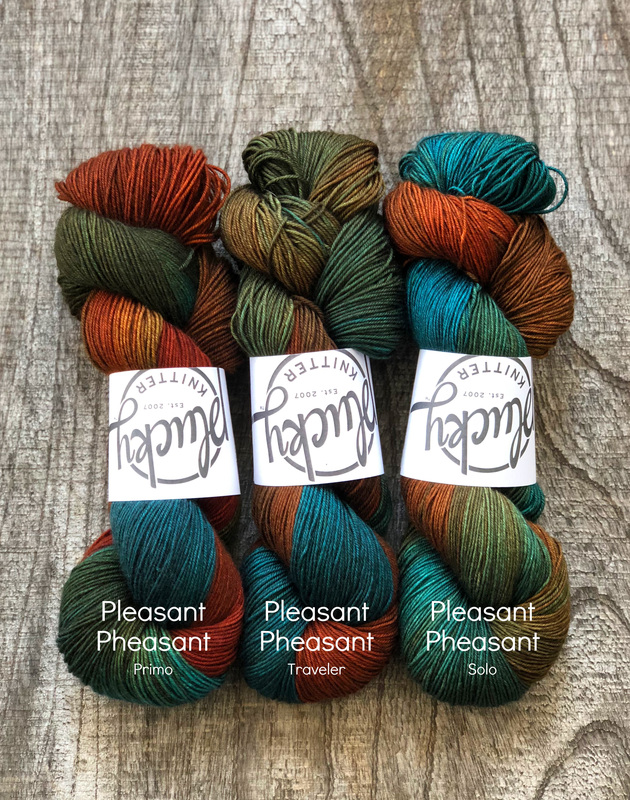 Please know that if you order more than one skein of the same Small Batch colorway, on the same base, we always do our best to provide you the closest matches possible, just as we do with multiples of our traditional colorways. 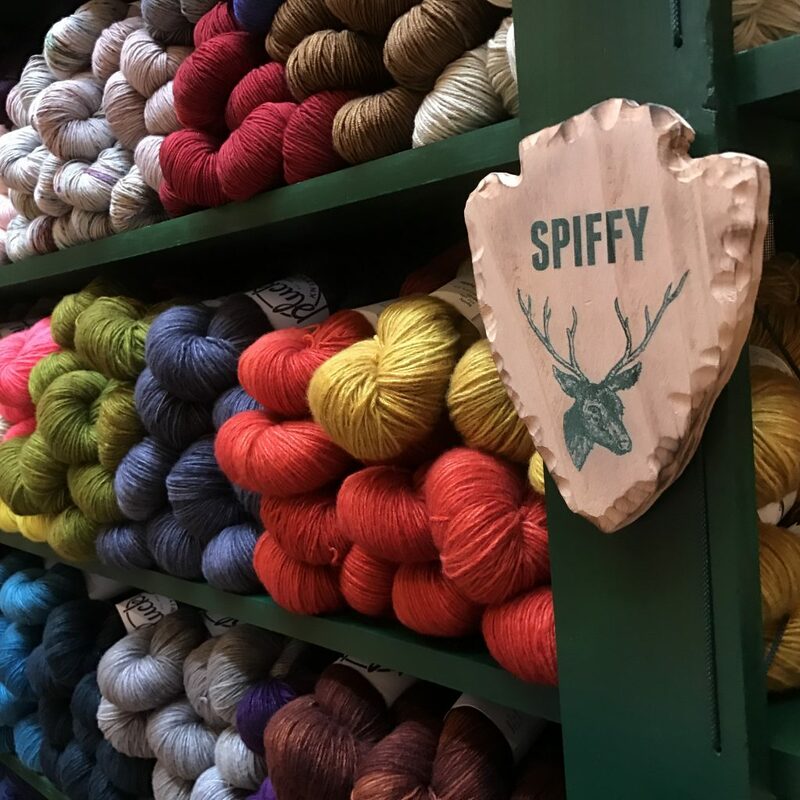 We simply ask that you keep in mind the unique characteristics that make Small Batch what it is and know that each skein is one-of-a-kind! 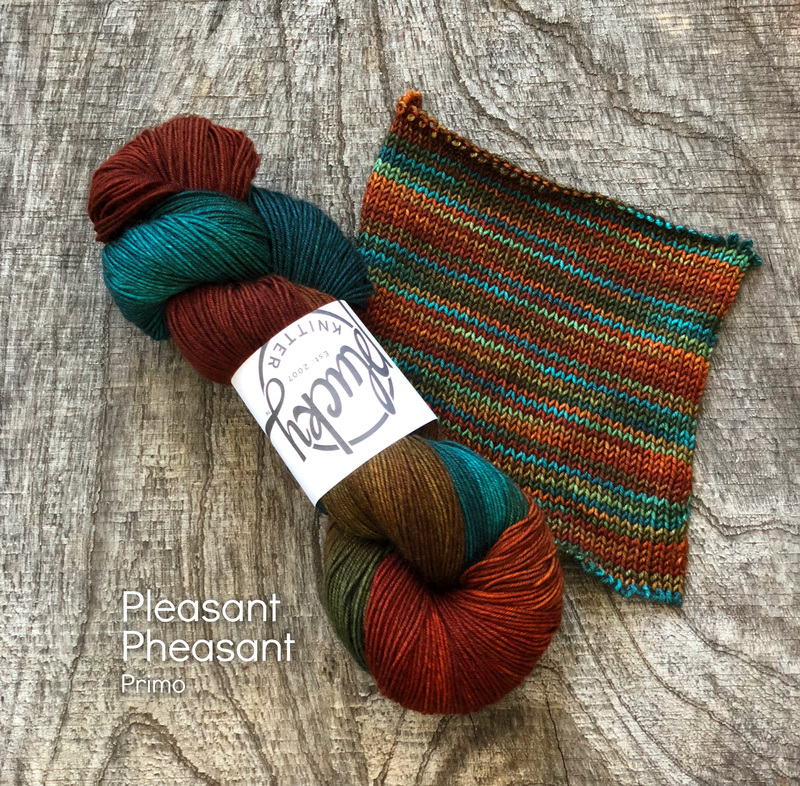 You are unique, your knits are one of a kind and so is your small batch! 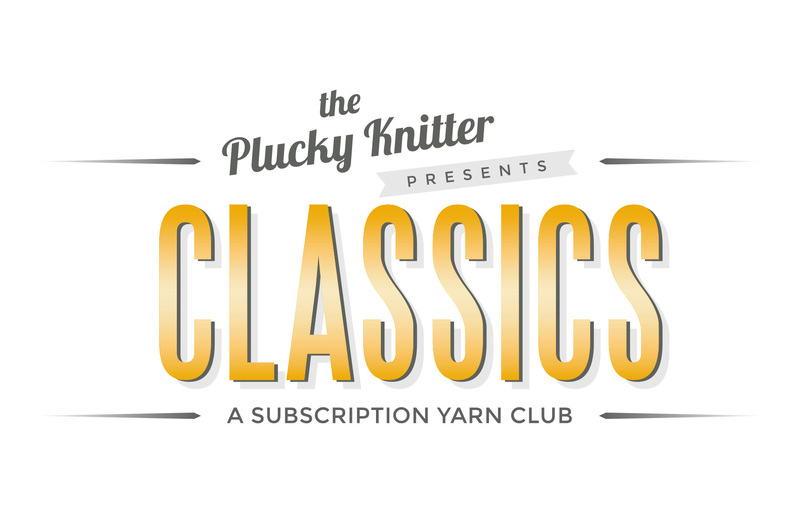 https://www.thepluckyknitter.com/wp-content/uploads/2017/05/new_small_logo@2x.png 0 0 Sarah https://www.thepluckyknitter.com/wp-content/uploads/2017/05/new_small_logo@2x.png Sarah2017-03-10 10:34:012017-03-10 10:36:19Meet our newest Small Batch colorways! A very happy Friday of Super Bowl weekend to one and all! I have something kind of exciting to share with you! First things first. Reserve will be getting a little maintenance (this being the first step in an ongoing process) early next week, so we will be shutting the doors for a few days starting Monday. But, before that happens, we have something pretty fabulous to share with you this weekend! 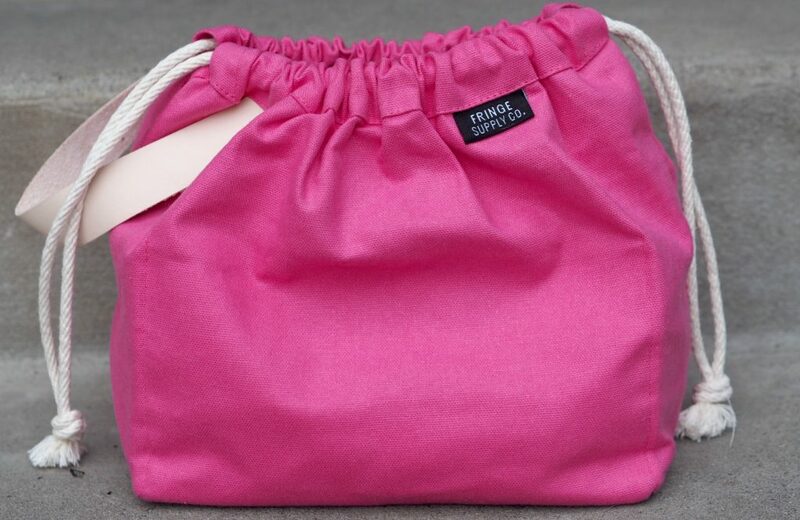 Bungalow is in the house…..think sweater quantities across the colors, woohoo!! We adore this special, limited edition yarn. Reserve will be stocked this weekend with Bungalow, while supplies last. 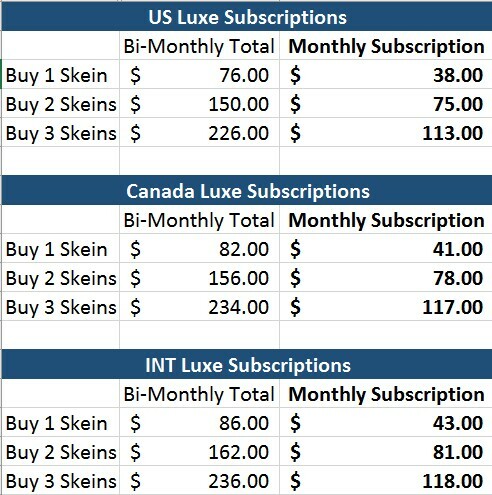 Anyone thinking spring knits? Get your Bungalow! Now. Drumrolll!!! We are unveiling something BRAND NEW this weekend on Reserve….introducing, Yakpaca!! This 50.50 yak/alpaca worsted weight yarn (our swatches produced 5sts/inch on a size US 8 needle) is really special. Yakpaca. It’s pretty much everything, and more! Light, lofty and breathable with a fabulous hand and next to skin softness. It’s absolute perfection for sweaters, shawls, wraps, and smaller accessories like hats and mitts. Hayley has already cast on for Loulou with it, and I am totally smitten with my Corner Brook! Yakpaca plays so nicely when it’s time to mix those bases! I’m mixing Yakpaca with Groovy for my Corner Brook and it’s just.so.good. 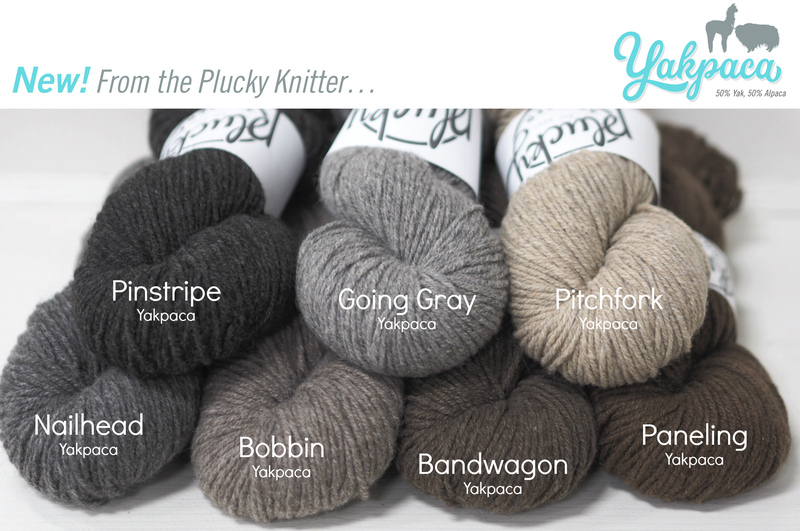 Yakpaca ($29 per 250 yards per skein) is available in the following palette of natural colors: Beatnik (black! Still needs photo), Pinstripe, Nailhead, Going Gray, Paneling, Band Wagon, Bobbin, and Pitchfork. FYI. These colorways are exclusive to Yakpaca only. Thank you! 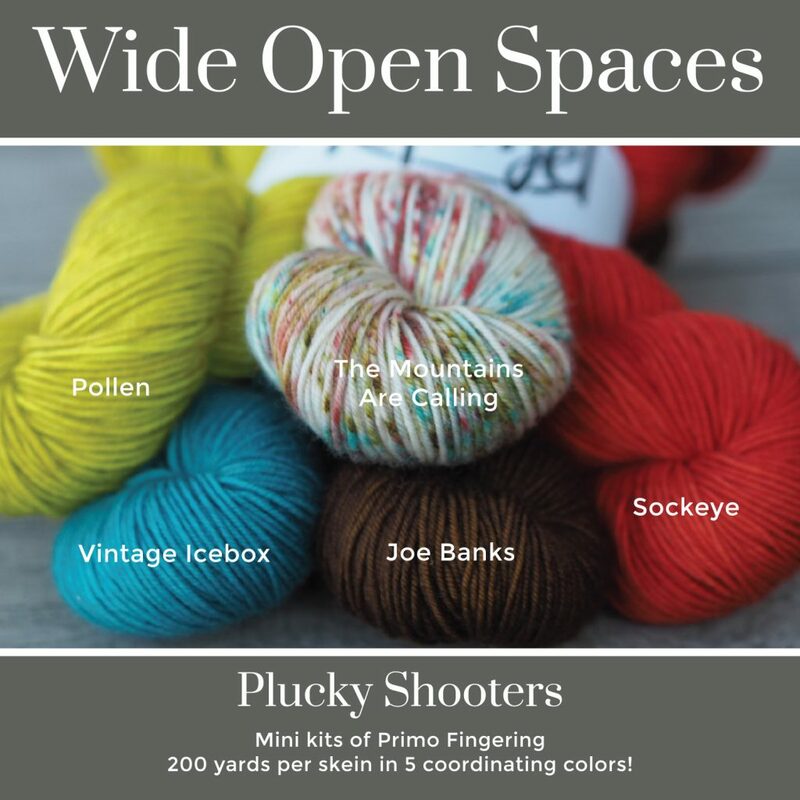 https://www.thepluckyknitter.com/wp-content/uploads/2017/05/new_small_logo@2x.png 0 0 Jill Zielinski https://www.thepluckyknitter.com/wp-content/uploads/2017/05/new_small_logo@2x.png Jill Zielinski2017-02-03 15:49:342017-02-03 16:02:46New!! Yakpaca! As promised… the Winter QPP! Solstice: is an icy aqua blue. Lighter than Fondant, more saturated than Fancy Free. Brilliant in all the aqua/tealy blue graidents you can imagine! Aqua lovers rejoice! Polar Dip: Bright, frosty cornflower blue. Lighter in saturation than Icey Audrey and more blue leaning and for all you Sister’s (colorway) lovers and Frostbitten lovers (again, really old colorway!) this might just appeal to you! Hibernation: Deep, dark black leaning brown with undertones of burgundy and charcoal. Warmer than Morticia. 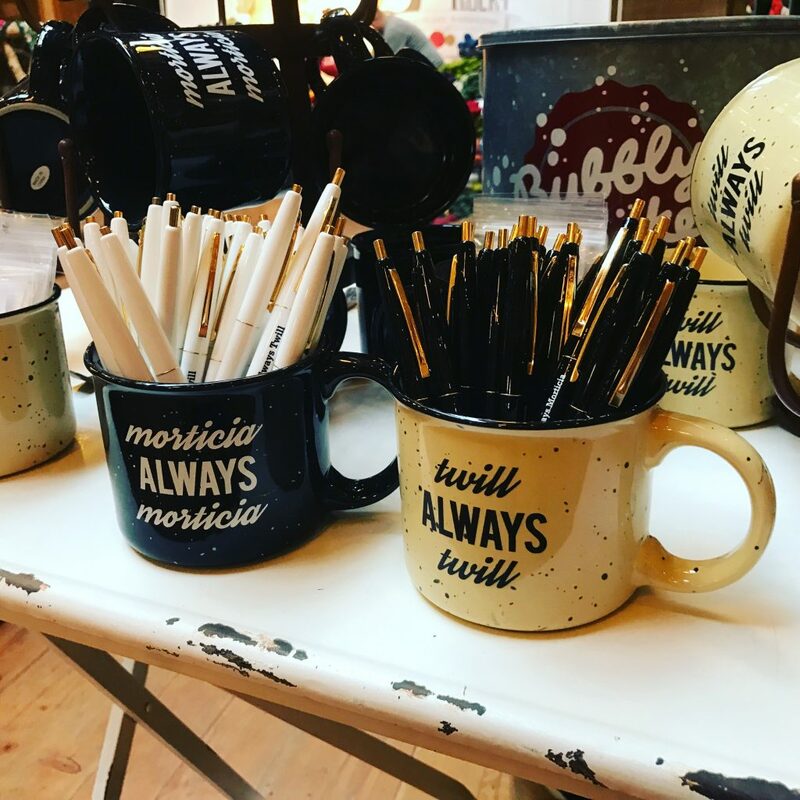 Morticia = Black. Scalloway = Black/Summy. Hibernation = Warm black/brown/black. Nippy: Cool, icy pink perfection! Delicate, yet bright and fun. How’s that for two sides of the same coin?! Cooler and slightly brighter than Some Pig, less saturated than Lawn Ornament. Parka: Peachy pink with undertones of coral. Brighter and cooler than Bellini, slightly warmer than Cecelia. And just too cute. Old Man Winter: Soft gray with that pairs gorgeously with Twill. Cooler than Ruffled Feathers, warmer than Wintry Mix. Getaway: Sunny, buttery yellow. Cooler than Build Me Up, more delicate than Bee in My Bonnet. Slightly less bright than Spelling Bee. Dreaming of warm sunny days ahead…. Frost Fair: Light, minty wintergreen. Leans greener than Enchantment and totally and completely wonderful paired with Modern Vintage – you know, gradient style! Hope you love these as much as we do and you can be sure we will back yet today with all the update details! 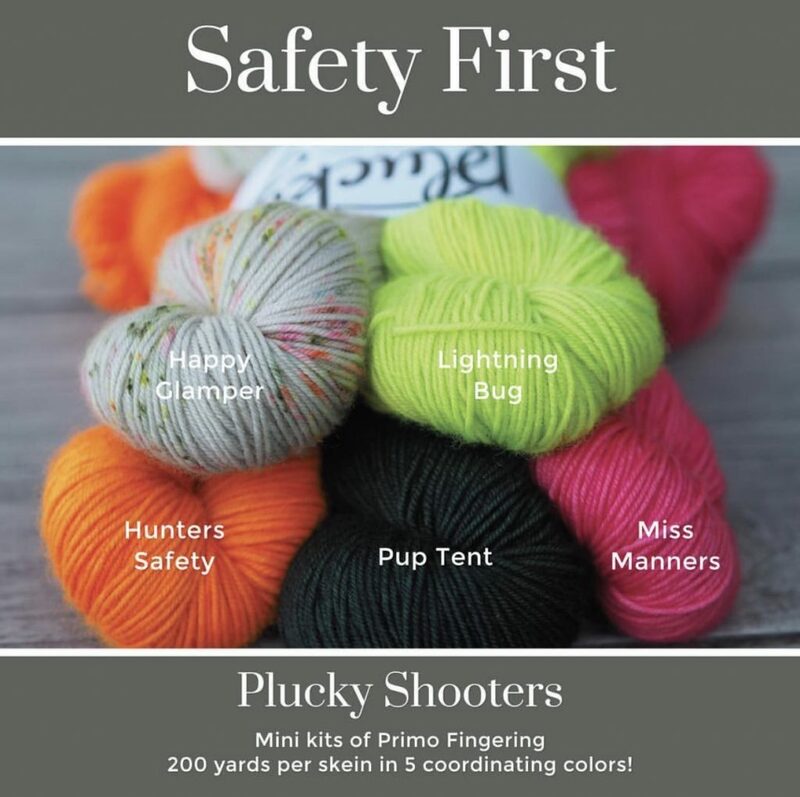 https://www.thepluckyknitter.com/wp-content/uploads/2017/05/new_small_logo@2x.png 0 0 Sarah https://www.thepluckyknitter.com/wp-content/uploads/2017/05/new_small_logo@2x.png Sarah2017-01-23 10:00:572017-01-25 10:12:50Introducing the Winter QPP! I promised you guys something exciting! Just in time for the warmer months (for those of us in the northern hemisphere!) 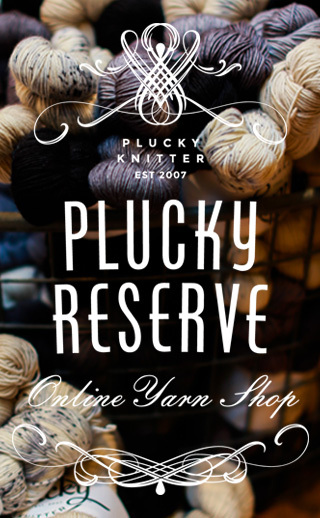 we are very excited to introduce our newest yarn, Plucky Bungalow! This sport weight yarn is mostly plant based, but we added a touch of silk to give your finished projects a bit of structure and just a hint of sheen. Bungalow will be perfect for summer cardigans, tanks, tees, and open lacey shawls. These are the lightweight, breathable summer wardrobe staples that we all need for warm days, cool evenings or an unexpected blast of out-of-control air conditioning! This palette has been especially chosen for this new non-wooly Plucky. This colors will not be available on any other base except Bungalow. I’ll be back over the next couple days with some photos of a few samples knit up in Bungalow.